Goods means any goods provided by Nescafé Dolce Gusto to you. 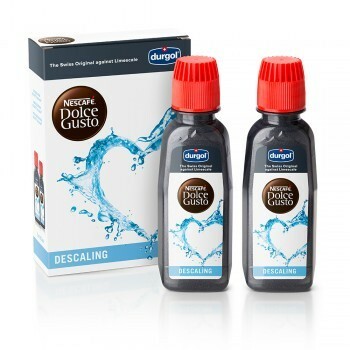 Nescafé Dolce Gusto means Nestlé New Zealand Ltd trading as Nescafé Dolce Gusto and its officers, employees and agents. Services means any service provided by Nescafé Dolce Gusto to you. You means the person(s) purchasing goods and services from Nestlé. 2.1 Each order placed with Nescafé Dolce Gusto by means of the Nescafé Dolce Gusto website will be governed by these terms. By placing an order, you acknowledge that you have read, understood and accepted, without reserve, these terms. 2.2 When Nescafé Dolce Gusto accepts your first order for Goods, you automatically become registered with Nescafé Dolce Gusto. It is your responsibility to ensure that your contact details with Nescafé Dolce Gusto remain up to date. 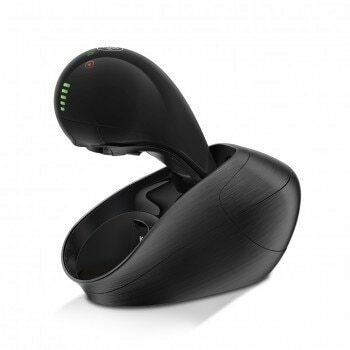 2.3 An individual must have a unique, valid email address to create an online My DOLCE GUSTO membership account. Limited to one DOLCE GUSTO membership account per person. 3.1 You may place orders for Goods and Services online on www.dolce-gusto.co.nz. 3.2 All orders are subject to availability of stock and min/max quantities as Nescafé Dolce Gusto decides from time to time. 3.3 Nescafé Dolce Gusto reserves the right to refuse orders whether whole or in part in its absolute discretion. 3.4 You have the ability to change your delivery address through the "edit profile" feature and during the confirmation stage at the checkout. It is your responsibility to ensure you are available to receive the delivery. If you are not at the delivery address to receive the goods, a card with a contact number will be left for you to arrange with the courier an alternative drop off time. After two attempts the goods will be returned to "us" and you will be refunded the full value of the purchase, minus the delivery charge. From that point, if you still wish to receive goods, you will have to re-order via the online shop. 4.1 You must verify your order of goods upon delivery and you must notify Nescafé Dolce Gusto on 0800 830 840 FREE within seven days of receipt of any incorrect order. If required by Nescafé Dolce Gusto, Goods forming part of the incorrect order must be promptly returned by you to Nescafé Dolce Gusto in their original packaging, accompanied by the invoice. 4.2 When returns are accepted by Nescafé Dolce Gusto and a refund is due to you, Nescafé Dolce Gusto will reimburse the price of the returned Goods and the invoiced delivery charges within 30 days of receipt of the returned Goods. 4.3 You cannot refuse to accept Goods merely because they are not delivered by any given date or dates, provided the Goods are delivered within a reasonable time. 5.1 Nescafé Dolce Gusto will endeavour to provide Goods and Services in a timely manner to the address specified in your order, however to the maximum extent permitted by law and subject to clause 8.2, Nescafé Dolce Gusto will not be liable for (a) any failure to deliver or delay in delivery for any reason; (b) any damage or loss due to unloading or packaging; or (c) damage to property caused upon entering premises to deliver the Goods or provide the Service. Any costs incurred by Nescafé Dolce Gusto due to any failure by you to accept the Goods at time of delivery must be reimbursed by you to Nescafé Dolce Gusto. 5.2 Invoices for Goods may include a flat rate charge for freight and delivery as specified by Nescafé Dolce Gusto. 5.3 If you wish to have Goods or Services provided by means other than Nescafé Dolce Gusto’s usual means, you will need to make all necessary arrangements and pay all costs involved. 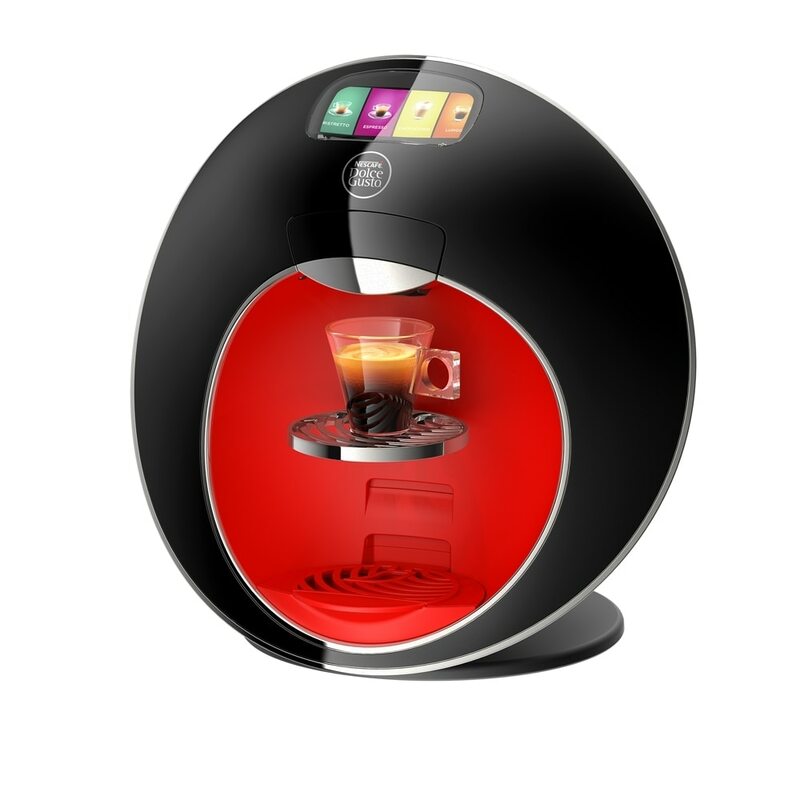 6.1 Nescafé Dolce Gusto may change the prices of Goods and Services from time to time without notice to you. 6.2 You must pay the price of Goods and Services current at the time of purchase. 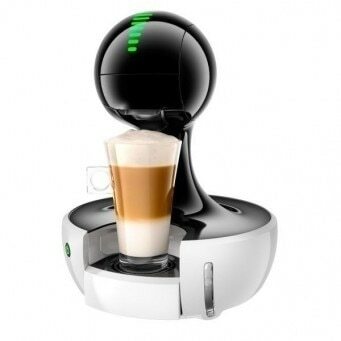 6.3 You must pay Nescafé Dolce Gusto any GST payable for the provision of the Goods and Services. 6.4 You are responsible for all duties, taxes and clearance charges that may be levied on the Goods or Services. 7.2 Capsules will be dispatched to you once a month or bi-monthly, dependent on your selection, on the date you sign up. 7.4 You can make changes to your orders or subscription at any time. Please sign into My Account for details. You will be notified by email that your account has been changed / cancelled. Any orders that have been processed before the change/cancellation will be dispatched by us. 7.5 By choosing to order 6 or more capsule boxes of your choice per month, your first order and every order thereafter will be eligible to a 10% discount. 7.8 Subscription offers cannot be used in conjunction with any other offers. In the event of a Subscriber wishing to take up any of the non-subscription promotional offers available from time to time, they will be required to place a separate non-subscription order to qualify for that offer. 8.1 Title in Goods passes to you on payment in full for them. 8.2 Risk in Goods passes to you on delivery of the Goods to you, unless you arrange for delivery under clause 5.3 in which case to the extent permitted at law, risk passes when the Goods leave Nescafé Dolce Gusto premises. (d) Without limiting the scope of these terms, no claim by you of any kind shall be greater in amount than the purchase price of the Goods or Services in respect of which the claim is made. 9.2 You acknowledge and agree that if you are acquiring the Goods or Services in trade or for the purpose of a business, the provisions of the CGA will not apply to such supply, but nothing in these terms will affect any rights that a person who is a ‘consumer’ for the purposes of the CGA may have under the CGA. 10.1 You indemnify and must keep Nescafé Dolce Gusto indemnified against all reasonable damages, losses, costs and expenses suffered by Nescafé Dolce Gusto arising out of any breach by you of these terms or arising out of your use, possession or sale of the Goods or Services, or the use, possession or sale of the Goods or Services by someone with your authority or permission. 11.1 These terms and any invoice referencing these terms govern your registration with Nescafé Dolce Gusto and the provision of Goods and Services and constitute the whole of the agreement between us and supersede any previous dealings, prior representations, statements and agreements in relation to their subject matter. 11.2 These terms may be varied by Nescafé Dolce Gusto at any time by notice to you or by means of a notice on the website www.dolce-gusto.co.nz. Clerical errors are subject to correction without notice. By placing an order after Nescafé Dolce Gusto has posted a new version of its terms, you agree to be bound by that updated version. 11.3 Nescafé Dolce Gusto may sub-contract or otherwise arrange for another person to perform any part of these terms or to discharge any of Nescafé Dolce Gusto obligations under these terms. 11.4 Nescafé Dolce Gusto waives a right under these terms only by written notice that it waives that right. A waiver is limited to the specific instance to which it relates and to the specific purpose for which it is given. 11.5 You must pay Nescafé Dolce Gusto all costs and expenses incurred by Nescafé Dolce Gusto in connection with these terms including legal expenses (on a solicitor-client basis), and costs incurred in the recovery of monies owing by you to Nescafé Dolce Gusto or in otherwise enforcing Nescafé Dolce Gusto’s rights against you under the these terms. 11.6 Neither party is liable for any delay or failure to perform its obligations under this agreement (except an obligation to pay money) if such delay or failure is due to any cause outside their reasonable control. If delay or failure to perform its obligations pursuant to this clause occurs, the performance of that party’s obligations are suspended. If such a suspension exceeds 30 days, either party may immediately terminate the agreement by notice in writing to the other party. 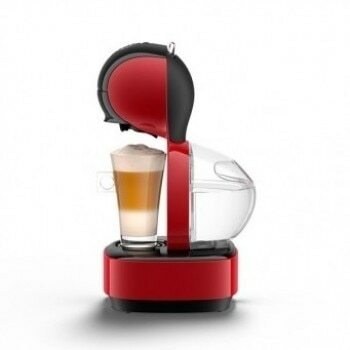 11.7 The Nescafé Dolce Gusto products, materials, offers and information appearing on this website are intended only for users and/or customers located in New Zealand including without limitation that delivery will be only to addresses in New Zealand. 11.8 These terms are governed by and must be construed in accordance with the laws of New Zealand.